​Joseph has been a Certified Public Accountant for over twenty-five years, currently serving as the owner of Battaglia & Associates, CPA’s PLLC located in Halfmoon, New York. He has also served as Treasurer on local not-for-profit organization Board of Directors, as well as professionally serving many other charitable entities in independent audit, review, tax preparation and consulting capacities. 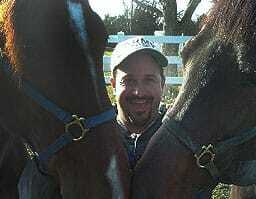 Joseph is also an active standardbred racehorse owner and thoroughbred racehorse enthusiast. He is a member of the US Trotting Association and a former member of the Saratoga Cornell Cooperative Extension Equine Leadership Committee. The experience gained through involvement in the horse racing industry, as well as professionally from both inside Board service and independent engagements provides the experience necessary to serve as the initial President of the organization. As President, he will oversee the overall operations of the Board and organization. ​Sarah is a local attorney who primarily represents clients in contract, labor and employment law matters, as well as general business counseling. She has represented several horse industry clients in a variety of matters, including contract negotiations. She was born and raised in Saratoga Springs on her family’s old farm which they still own today. The barn pictured behind Sarah was built in 1900 by her great-grandfather. In her casual time Sarah enjoys watching horse races and serving as a co-host on “Talk Saratoga” radio on 91.1FM. ​John has been a Certified Public Accountant for over twenty five years and has had his own public accounting firm for over twenty years. In his practice, he has been involved in professionally serving many not-for-profit organizations in formation, accounting, tax preparation, and consulting. John is also an active standardbred racehorse owner, and has been involved in standardbred racing for the past twenty years. In addition to owning the horses, he also stays involved in their care and training. He is also a member of the US Trotting Association. This combination of financial and equine background makes him a natural fit for the Treasurer position. As Treasurer, he oversees the finances, accounting, budgeting, financial reporting, and other financial aspects of operating the organization. Jennifer is a lifelong horsewoman who holds a B.S. in Equine Business Management from Johnson & Wales University in Providence, RI. With over 15 years experience working with horses in varying degrees, she brings to the organization the practical knowledge of working with horses in a farm setting, and the professional experience of business management and planning. Additionally, Jennifer brings a great deal of experience in public relations, marketing and grant writing. Most recently, she managed a grant-funded equine educational outreach and business development program out of Cornell University Cooperative Extension of Saratoga County. She also currently serves on the Board of Directors for the Saratoga County Farm Bureau and volunteers for 4-H youth programs. She is a member of the New York State Horse Council and the Green Mountain Horse Association. Suzanne is a New Hampshire native and grew up riding hunters and jumpers. During college she studied abroad in Ireland, taking courses in Equine Studies. She graduated from the University College Dublin School of Veterinary Medicine in Ireland in 2005. 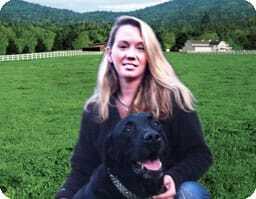 After earning her veterinary degree, Suzanne completed a one-year internship at Saratoga Equine Veterinary Services in Saratoga Springs where she worked closely with racing thoroughbreds and broodmares. Following her internship, she practiced as an equine veterinarian at a large group practice in Rhode Island for several years. 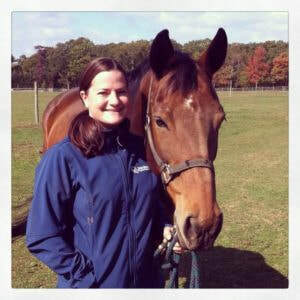 Currently she works as an associate veterinarian at the Equine Clinic at Oakencroft in Ravena, NY. We appreciate Suzanne’s expertise in equine medicine both as a board member and as our horses’ treating veterinarian. 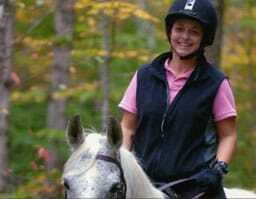 ​Kristin is an accomplished equestrian rider having won several state and national awards. She also is an experienced trainer, preparing horses as well as riders for show events. She also has retrained former racehorses for after-track activities, and has participated in police horse retraining and children therapy programs through the Warren County 4-H. She oversees all aspects of the care and usage of the horses in our programs.